Enjoy long-lasting holistic health and prepare natural health remedies for common ailments with essential oils, herbal remedies, and pure foods. 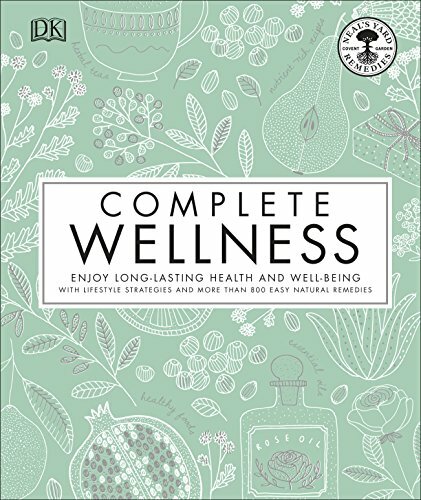 Complete Wellness delivers a head-to-toe guide to healing for every part of your body. Targeted instructions allow you to tap into the restorative powers of herbs and plants and their therapeutic essential oils and use tried-and-true, centuries-old herbal remedies to treat a host of common ailments. In addition to healing remedies, the book explores the key building blocks for optimizing health and well-being in each part of the body, pointing you to the top herbs, nutrients, and essential oils each area needs not only to stay well, but to reach the very peak of wellness–whether to boost circulation, enjoy glowing skin, balance gut flora, or maximize energy levels. Guidance is given on incorporating ingredients into everyday regimens, helping you to stay in optimal health. Follow step-by-step demonstrations on how to blend your own teas and tinctures; concoct all-natural-ingredient creams; create therapeutic aromatherapy oil blends; discover delicious recipes for wellness; and master a variety of other practical techniques and tips for lifelong well-being. Make the most of nature’s resources with Complete Wellness.